Propellers on combustion engines of a lower power class cause some 70% of the motor shaft power to be lost as inefficiency that cannot be converted to propulsion. The second important index is the overall efficiency. 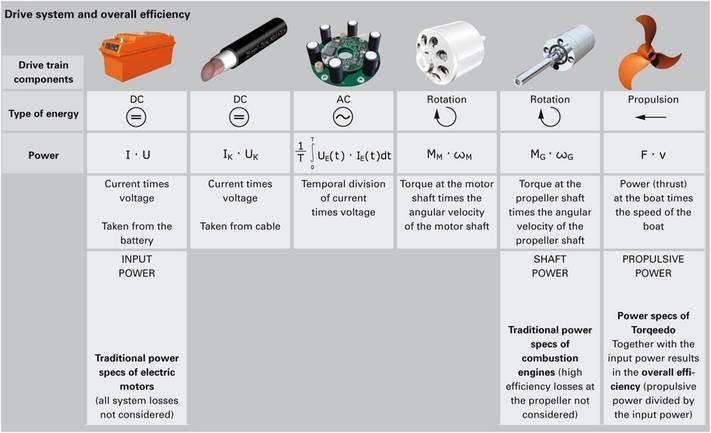 It describes the efficiency with which the drive system converts the available energy sources into output power and is calculated by dividing the propulsive power by the input power. 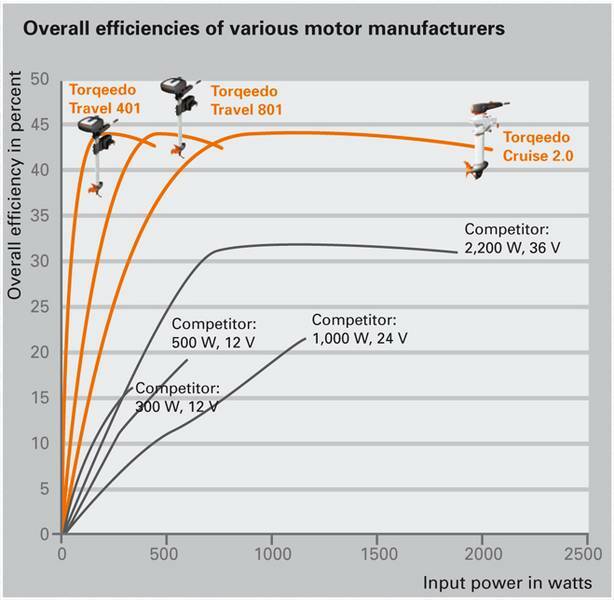 Torqeedo builds the most efficient outboards on the market by far, by means of consistent orientation towards propulsive power and overall efficiency. As the overall efficiency of a drive system is given by the product of the partial efficiency levels of all components, a single poor partial-efficiency level can have a significant negative influence on overall efficiency. For this reason, Torqeedo takes great care in the comprehensive optimization and interaction of all components. personally. In Torqeedo’s tests of competitor products, the manufacturers’ specified static thrust values could generally not be reproduced. A big test for small motors: Accredited test laboratory Potsdam Model Basin (SVA Potsdam) confirms unique efficiency of Torqeedo outboards. After successful internal tests and a successful introduction of the motors onto the market in Germany, Austria and Switzerland, Torqeedo wanted to have an “ultimate” test and sent two of its outboards to the SVA Potsdam. 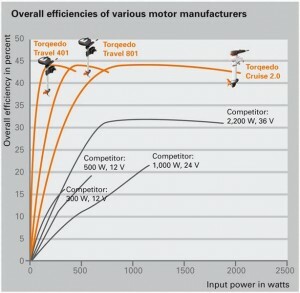 The independent experts at the SVA tested and confirmed the unique overall efficiency level and superior propulsive powers of the Torqeedo motors under laboratory conditions. Since its founding more than 50 years ago, the SVA has developed into an internationally recognized research and consultation facility for commercial shipbuilding. 45 highly-specialized experts from various fields as well as test systems and measurement techniques that meet all international standards consolidate the position of this non-profit-making organization as an internationally recognized research center and accredited test laboratory.